Six international oil firms including BP and Royal Dutch Shell Plc have bid to operate Qatar's largest offshore oil field, two people with knowledge of the matter told Reuters. The other bidders are the field's current operator Maersk , as well as Total SA, Chevron Corp and ConocoPhillips, said the people who spoke on condition of anonymity as the information was private. 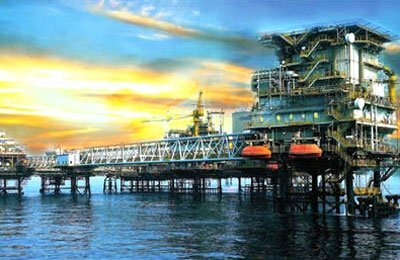 The people said state-owned Qatar Petroleum (QP) would award the contract for the oil field, which is 80 km off Qatar's coast and currently produces around 300,000 barrels per day (bpd), in the second half of the year. Officials at Maersk, Chevron, Conoco and Qatar Petroleum did not immediately respond to requests for comment. Shell and BP declined to comment. A Total spokesman said CEO Patrick Pouyanne had confirmed its bid earlier this month. Denmark's AP Moller-Maersk, which owns Maersk Oil Qatar, said on May 4 it was involved in a tender process and there was a risk it could lose the Qatari field, its largest oil producer. For years it was expected Maersk would renew its 25-year production agreement on Al Shaheen field when its licence runs out in 2017. But the Gulf state surprised the company last year by putting out a tender for the field which Maersk Oil has been operating since 1992. A Qatari oil source told Reuters the Gulf state had invited international majors to the tender because it wanted to raise production at the field to 500,000 bpd. Maersk Oil had originally planned for Al Shaheen's production to reach 525,000 bpd by 2010, after a 2005 field development plan was approved, but output remained at about 300,000 bpd, roughly half of Qatar's daily crude output. The oil reservoirs are notoriously thin and spread out across a vast area, making production difficult. BP withdrew from a $4.3 billion project to build Qatar's first liquefied natural gas (LNG) plant in 1992, stating it saw no financial benefits to staying in the project. Since then, Qatar, a country of 2.6 million, has gone on to become the world's richest by per capita income and the largest producer of LNG, which is gas chilled to liquid for export on specially designed ships.